Rent agreements are now being replaced by leave and licence agreements. The rental market is undergoing a change and leave and licence agreements are largely preferred. These type of agreements treat each fresh agreement as a new undertaking. The agreement is renewed every 11 months. Leave and license agreements are governed by the Indian Easement Act, 1882. Under this agreement, the licensee can use the premises owned by the licensor for a period of time (usually 11 months). After the period of 11 months, the lessee can renew the agreement. Registration of leave and licence agreements is compulsory in states like Maharashtra. There is a major difference between the rental agreement and leave and license agreement. In the latter, the owner leaves the place with various facilities and gives the same to the licensee for use while the owner is on a leave for a specific period of time. Once the leave is over, the owner shall return. The licensee is not allowed to make any major alterations to the property. On the other hand, the rental agreement dictates that the tenant need not leave the property as long as he is paying the rent regularly. As a result, landlords don’t prefer to enter into an agreement that exceeds 12 months. The leave and license agreement is flexible and can be changed to cater to the requirements of both parties. The residency and ownership patterns are changing in India and the leave and license agreements are also witnessing changes over a period of time. 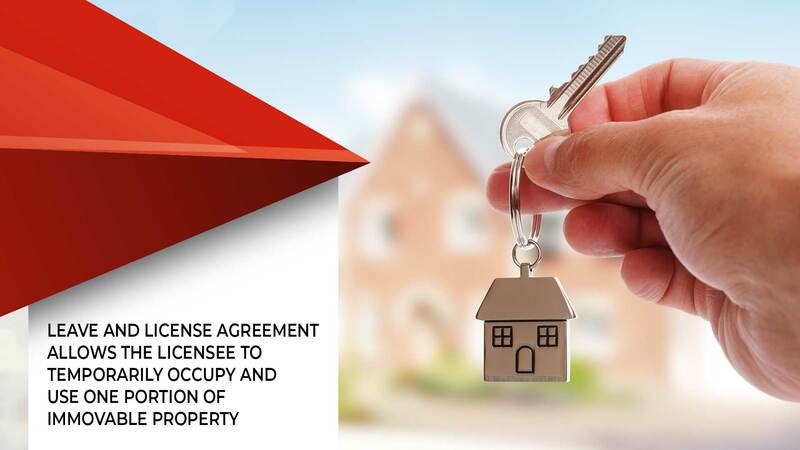 Gundeep Singh Uppal, founder of the property management firm SimpLease India said that the leave and licence (L&L) agreement operates in such a way as to give reasonable rights to both parties, allowing for hassle-free re-possession of a home upon the termination of each agreement. Young urban tenants are now asked to reveal details like income, financial position etc to make sure that they can afford to pay the rent. A background check is also necessary to avoid troubles for owners.